Analog Way Saphyr – H Ten-input hi-resolution mixer and seamless presentation switcher with four HDBaseT™ inputs, two mirrored HDMI / HDBaseT™ outputs, up to 3 live layers and 2 operating modes. The Midra™ series of presentation switchers has been designed to be entirely operated from the easy-to-use front panel. Each model can also be easily controlled using the intuitive drag & drop user software interface: the RCS2. They offer IP (Ethernet) control via a standard TCP/IP socket connection and an RS-232 serial interface supported by all major third-party control systems. Additionally, they can be controlled by a comprehensive range of remote control panel options such as the RK-350 keypad or the Shot Box². 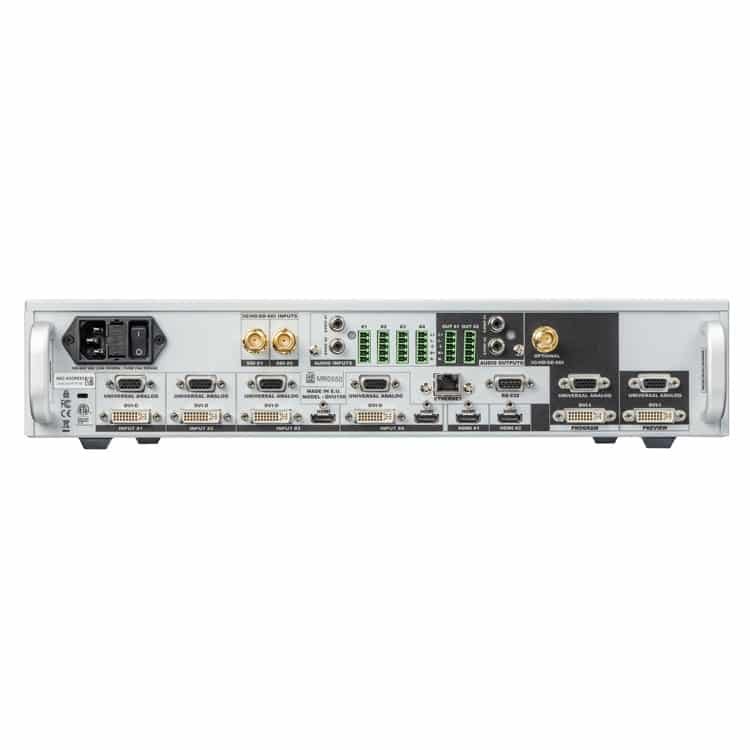 The Midra™ HDBaseT series has been designed to deliver Analog Way’s uncompromising processing and high-quality manufacturing in a cost-effective, easy-to-use range of products with outstanding value-for-price. 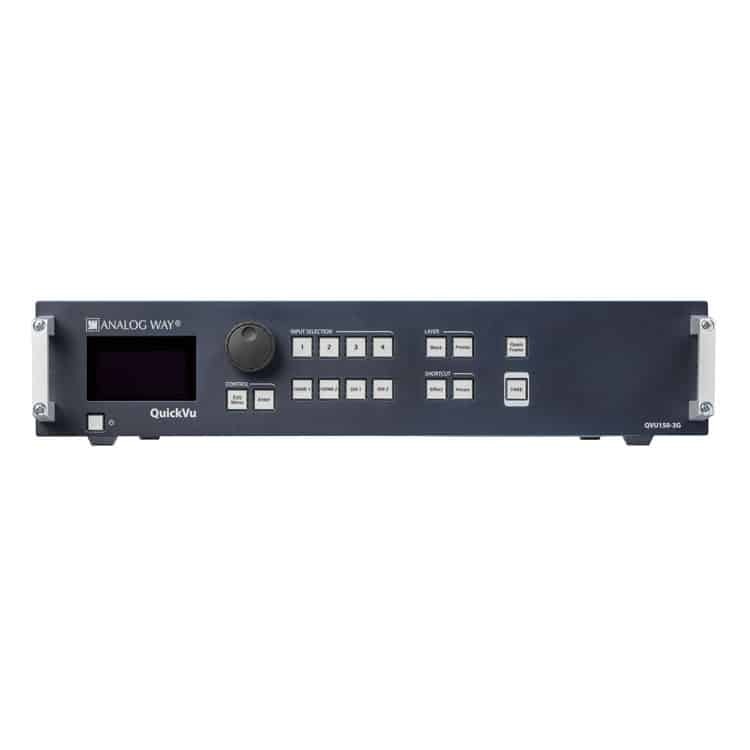 These presentation switchers offer ultra-low latency image processing, uncompromising video quality, true seamless switching, multi-layer video capabilities, advanced audio integration capabilities and creative video effects for elegant AV presentations, which make them an ideal solution for conference rooms, educational facilities, classrooms, auditoriums and other presentation applications.